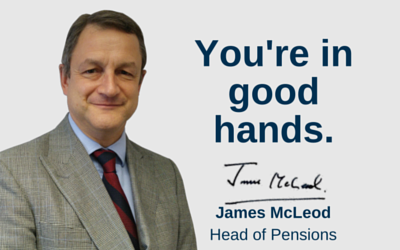 Do you have a UK registered pension and are you a tax resident in Tanzania? UK residents are liable to UK tax on such income and, generally, non-UK residents are subject to UK income tax on UK source income too. Therefore, if you are non-UK resident and receive a payment from a UK Registered Pension Scheme, assuming the payment is not within your 25% tax free amount, it is liable to UK tax at your marginal rate, unless a Double Tax Agreement (DTA) with your country of residence and the UK provides exemption from UK tax on such income. Tanzania has no DTA with the UK. Residents of Tanzania are taxed on their taxable worldwide income. Current personal income tax rates, progressive up to 30%. The Tanzanian Income Tax Act (Chapter 332) recognises foreign pension as “Pension received from non-resident retirement funds”. Foreign pensions are not exempted. In terms of the Income Tax Act, pensions received from non-resident funds are taxable to the extent there is a gain over the contributions. In other words, no tax is paid until the total received in pension payments has exceeded the total contributions made. After that point, tax is paid using the individual rates. Foreign pensions may claim tax credits. If the pension remains in the UK, then the UK pension income should be taxable in the UK (at up to 45%). No tax initially in Tanzania on payments, however once the total received in pension payments exceeds the total contributions made to the pension, Tanzanian tax (at up to 30%) may be due. Consideration may be given to not remitting the income to Tanzania as this could affect the tax basis. Furthermore, the fund remains exposed to the UK death benefit charges. Transferring to a Gibraltar QROPS for non-UK residents (5 years +) can alleviate UK tax on payments (at up to 45%) with 2.5% Gibraltar tax on payments. No tax initially in Tanzania on payments, however once the total received in pension payments exceeds the total contributions made to the pension, Tanzanian tax (at up to 30%) may be due. Consideration may be given to not remitting the income to Tanzania as this could affect the tax basis. Furthermore, the QROPS can protect from the UK death benefit charges if non-UK resident (5 years +) and there is no Gibraltar IHT. Transferring to a Malta QROPS for non-residents (5 years +) can alleviate UK tax on payments (at up to 45%) with up to 35% Malta tax on payments and no tax initially in Tanzania on payments. However, once the total received in pension payments exceeds the total contributions made to the pension, Tanzanian tax (at up to 30%) may be due. Consideration may be given to not remitting the income to Tanzania as this may be sufficient to relieve any tax burden. Furthermore, the QROPS can protect from the UK death benefit charges if non-UK resident (5 years +) and there is no Maltese IHT.